Water is life, the essential component for every living organism. Humans and animals alike require it as to be able to keep their bodies functioning well. It takes up about 70% of the surface of the earth with all the springs, rivers, lakes and oceans and it keeps mother nature alive. The important role of water isn’t just related to our physical functions but the emotional ones as well. It’s something ancient people were very well aware of as we can see by the many public and thermal baths they had. It doesn’t take long to understand where that stems from, a warm shower before bed is perfect for relaxing and falling into slumber. What’s interesting to note, is after all this time, we still don’t know as much about the great depths of the ocean as we know about the vastness of space. 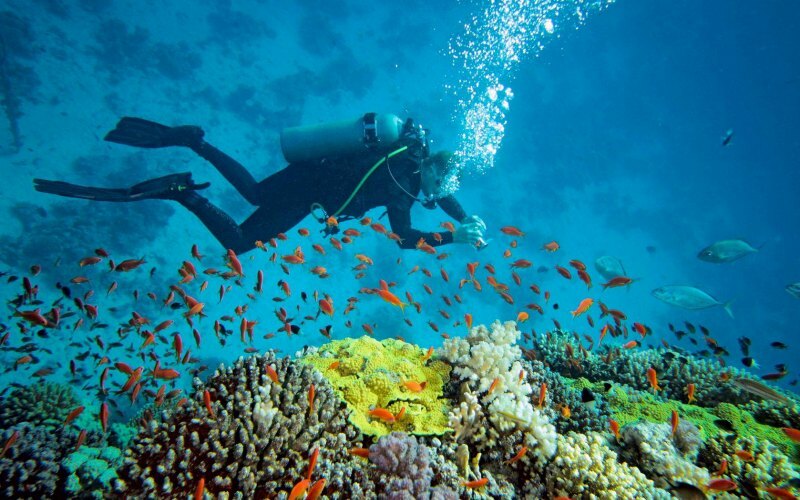 Having this in mind, a little adventure of diving and snorkeling can get you a long way in getting to know more of the secrets and vividness of the ocean. However, unless you’re a very experienced diver, you’re going to need the proper bits of equipment so that you make the most of this adventure and you have to take every step to get to know more of the essential pieces to be able to wisely choose from all the choices of diving equipment available for sale in specialized shops. When it comes to the bare essentials, the wet-suit, mask and fins are the pieces you should get first. It’s important to invest in quality wet-suit for full body protection if you want to have the chance to stay in water longer. Every millimeter of additional thickness means having a suit that provides perfect insulation and won’t let cold get you. Since every person’s body has different cold tolerance, so it’s important that you choose the amount of thickness wisely. The least thick, with two millimeters, are ideal for warm water plunges, whereas three, five or seven are more suited for dives in cold water. There is a difference when you’re staying underwater near the surface than when you’re diving deeper and along with the difference in thickness, difference in style is also crucial. 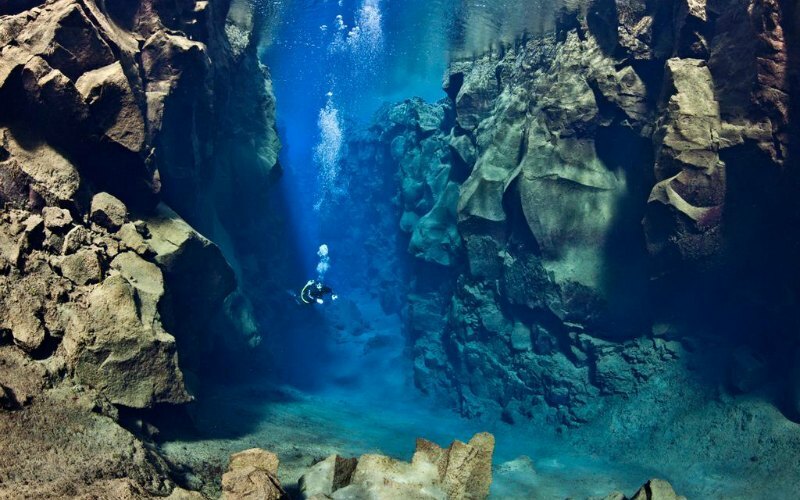 Full diving wet-suit not only keeps you warm but also compresses while in ocean depths. Once you get this diving equipment part, you have to take proper care of it to preserve its longevity. As soon as you’re done diving, wash it in warm freshwater to clean salt and sand particles that could deteriorate its quality. The mask is your window to the underwater world. It’s important to consider nose fitting and the field of vision. A mask that doesn’t fit you well will let water leak in. You have to differentiate between the number of lenses of mask varieties, some have a single lens, others have double, and then there are also those with multiple lenses, it’s all about the style you prefer and the amount of angle of vision you require. It’s advisable to learn a few tricks beforehand that can help with your diving altogether, like defogging the lenses by using your own spit. A foggy mask can ruin your experience and even have you miss seeing more of the species living in the waters that come by to greet you. If you want to have an easier and more enjoyable dive, you have to get your own pair of fins. First things first, they have to fit and only then you can focus on the style. Full foot fins are basically made for snorkelling and warm water dives as they are lighter, whereas open heel fins are designed for scuba diving. Make sure you get full regulator set that’s environmentally sealed to keep contaminants away and allow for smooth breathe during deeper dives. If you want to dive in cold waters, be sure to get your diving booties to pair the open heel fins with. Enjoy uncovering more of the ocean and don’t forget your waterproof camera to make lasting memories!